Quake Champions has come a long way since its early-access release last year. I was down on it from my initial impressions, but I've grown to accept how it plays and how fun it can be. In an odd move, though, there hasn't been any kind of capture the flag mode available. That is set to change this month as Bethesda has announced a new CTF mode will headline a bunch of new updates for the arena shooter revival. Along with that CTF mode, a battle pass will be available for purchase. 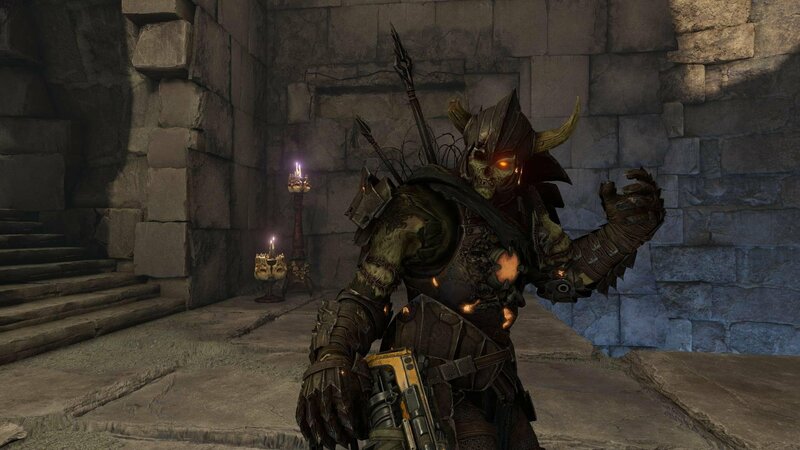 Working in a fashion similar to Fortnite and PUBG, the battle pass in Quake Champions will allow players to earn skins, shaders, nameplates, premium currency, and loot boxes just by playing. It will operate in seasons with a 100-tier ladder that is constantly rewarding you for leveling up. Daily and Weekly challenges will round out the battle pass extras, with special challenges for owners of the pass. The pass is available for 1,000 platinum (basically $10 USD). Champions are also getting some new functionality in December. Along with the battle pass, players can now level-up their preferred champions by completing weekly challenges. This will grant you "Shards," another new currency, that can be spent on items specific to each champion. With these new upgrades, you'll be able to tailor your champion to your specific playstyle. You can find out more about December's updates by reading the official FAQ. There isn't a solid date for when you'll be able to play CTF, but it shouldn't be too long now.